Support farming families while checking out some cool dirt bikes, ATVs, and jet skis? Yes please! An aerial view over the Murrumbateman Field Days event. Photo: Murrumbateman Field Days Facebook page. Our rural and regional field days – like the Murrumbateman Field Days being held next Saturday 20 and Sunday 21 October – are an Australian institution. They’re a valuable opportunity for farmers to make all their big equipment purchases, and a chance for businesses to meet their customers in person. But even if you’re not in the market for a new tractor, water tank or hay-baler, you’ll find the Murrumbateman Field Days are one of our region’s premier events for good reason: it’s a fun day out in the country with plenty to see and do, enough to keep the whole family entertained. In 2018, the Murrumbateman Field Days is celebrating its 40th birthday. 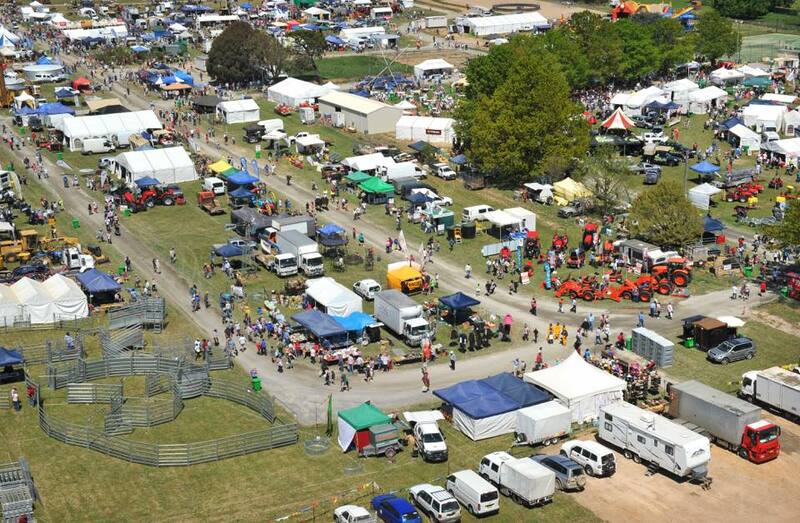 From just 23 exhibitors in 1979, it has grown to host an expected 22,000 people and nearly 500 exhibitors this year, on the 40-acre Murrumbateman Recreation Grounds site (about 30 mins drive from the CBD). And for the first time this year, iconic Canberra business Canberra Motorcycle Centre will be among them. Canberra Motorcycle Centre (CMC) Sales Director Kane Piper said their presence at the event was part of efforts to better support local farmers in the Canberra and surrounding region. Not all bikes have to be for work. 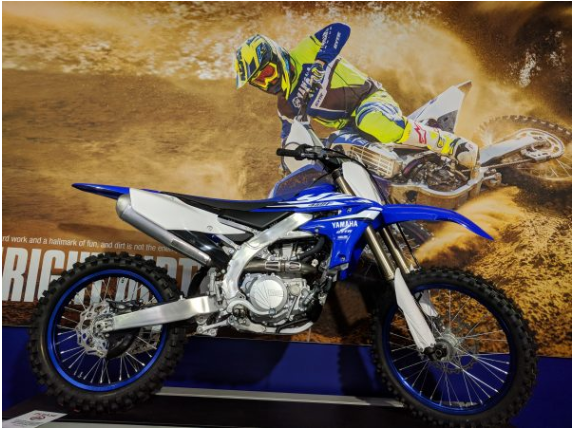 The YZ range is a great choice for the home track! Photo: Canberra Motorcycle Centre. “We’re a very successful Canberra business, and now we want to take on the challenge to be a better local agricultural supporter as well,” he said. “We already work with lots of rural customers, so this is a chance for us to learn more about them, what they need and how we can help them, as well as to learn more about the challenges they are facing,” said Kane. Kane also said that for many people, rural Australia is where they first got their taste for riding a motorcycle. “Motorcycles have a huge role to play in farming life in Australia,” he said. “That’s a responsibility we take very seriously,” said Kane. 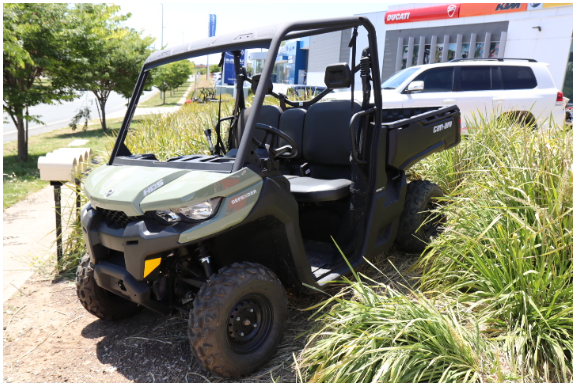 Many farmers depend on ATVs like this Can-AM HD5. Photo: Canberra Motorcycle Centre. With an increased focus on Australia’s farming communities as a result of the current drought, 2018 might be the best year yet to get along to the Murrumbateman Field Days, and support our regional and rural families and the businesses that are working to help them. “When it comes to motorcycles, we know what we’re talking about,” said Kane. “So our team is really excited to be out there! And if we can help set up a few customers who need a safe and reliable new bike, that’s a good thing as well,” he said. In addition to new and used road bikes, the Canberra Motorcycle Centre sells dirt bikes for adults and kids, as well as off-road and All-Terrain Vehicles (ATVs), and even Personal Water Craft (PWCs) such as water scooters and jet skis. Even hardworking farmers need to have fun sometimes! 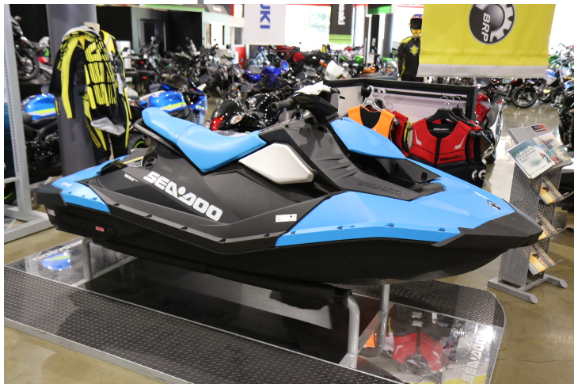 And this Sea-Doo Spark iBR jet ski is perfect for a break on the water. Photo: Canberra Motorcycle Centre. “We’ll have a good snapshot of all our products as part of our display, but expect to also see side-by-side vehicles, ATVs and fun bikes, and we may even sneak in a PWC, because everyone loves looking at a cool PWC!” said Kane. “We’ve invited experts within our suppliers – including Honda, Kawasaki, Yamaha and BRP – to attend and help out on our stand, they’ll be there to go through the products. “We’ll also have some of our great CMC staff out there, helping with special Field Day deals and booking test rides,” said Kane. The Field Days are run by the Murrumbateman Progress Association which is a voluntary, not-for-profit, community-based organisation that has raised nearly $1 million for local community groups over the past five years. The Murrumbateman Field Days are taking place from 8 am to 5 pm on Saturday 20, and 8 am to 4 pm on Sunday 21 October, at the Murrumbateman Recreation Grounds. Tickets can be bought online. Check out the Canberra Motorcycle Centre range online at canberramcc.com.au ; and find out more about the Murrumbateman Field Days at mfdays.com.